Christmas Day. 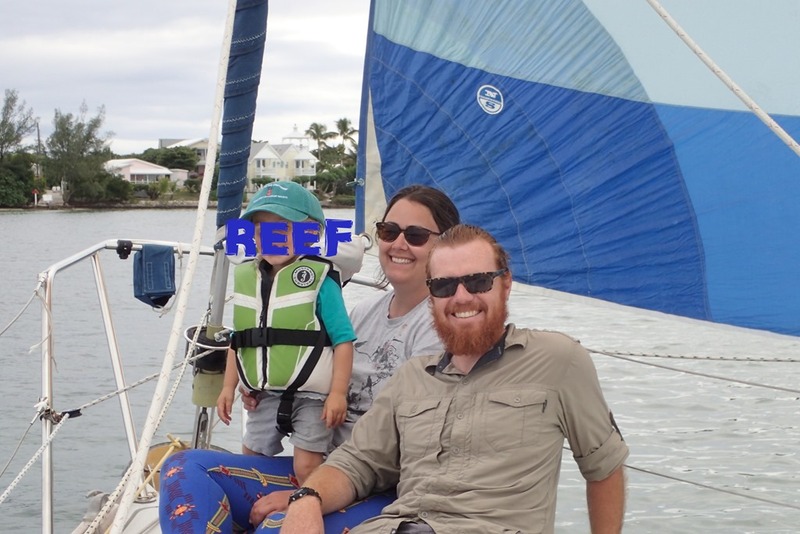 Let’s go sailing on Motu Iti. 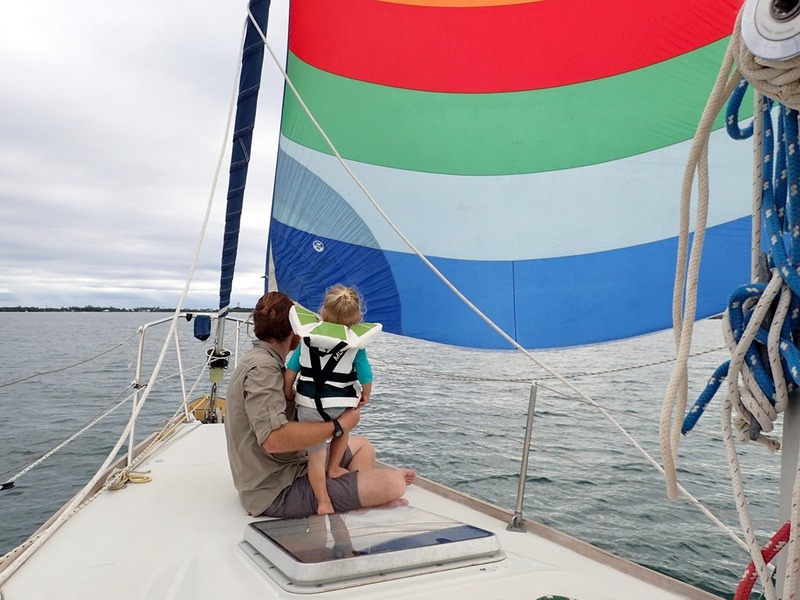 We’ll raise the sails at the mooring and sail out of the harbor. No wind? No problem. 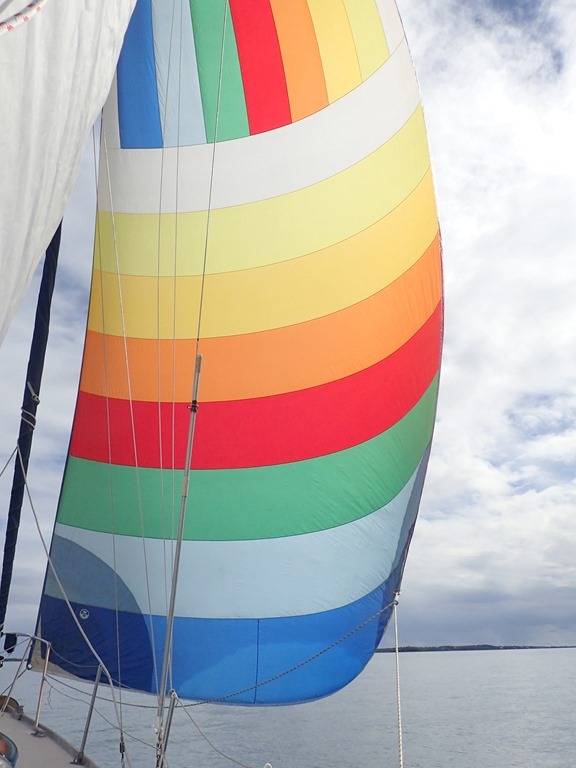 Break out the asymmetrical spinnaker – easy to handle and perfect for today’s air. 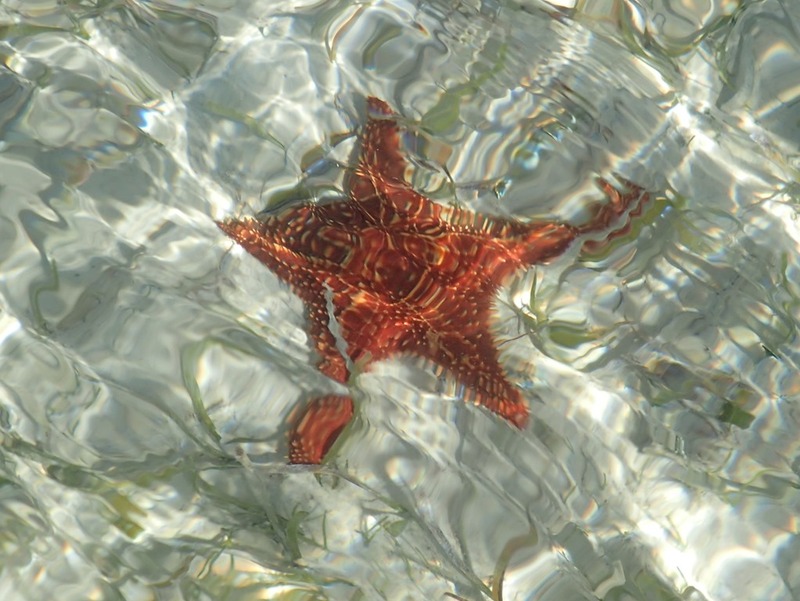 Ghosting along so slowly in light air that we can find sea stars on the sandy bottom. 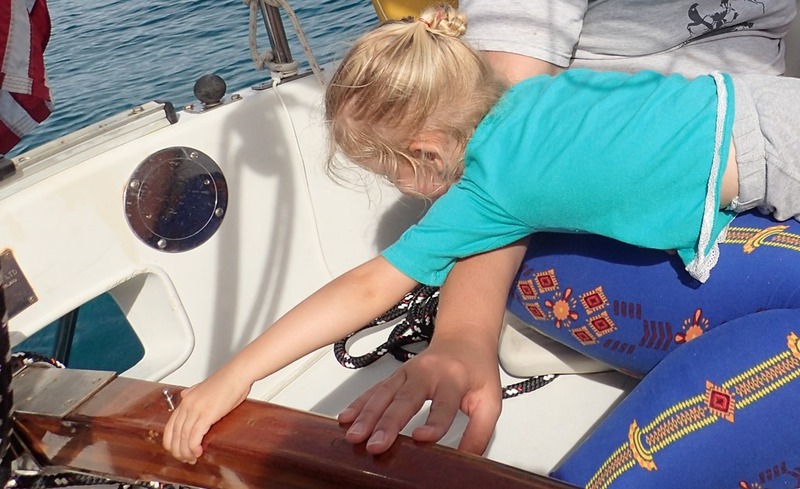 Let’s let the two-year-old take a turn on the helm – with Mama’s help. 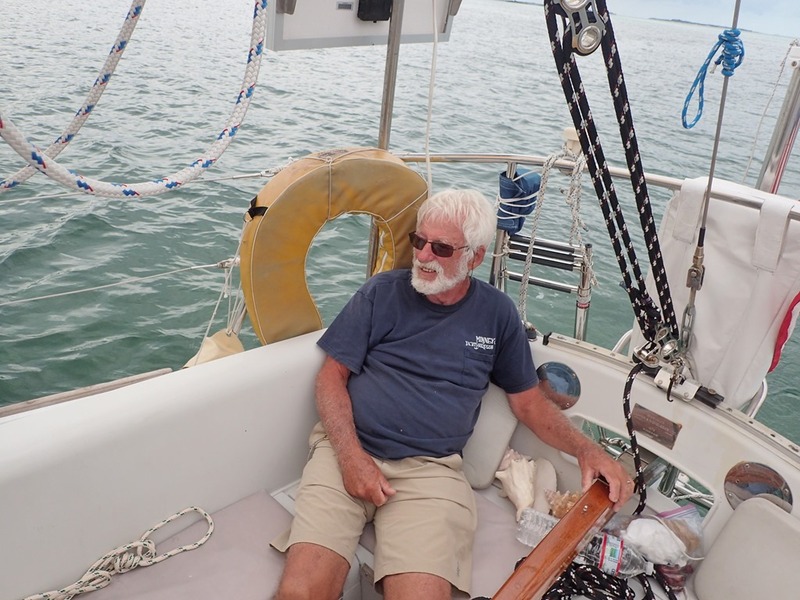 Grandpa likes to steer too. What’s this? 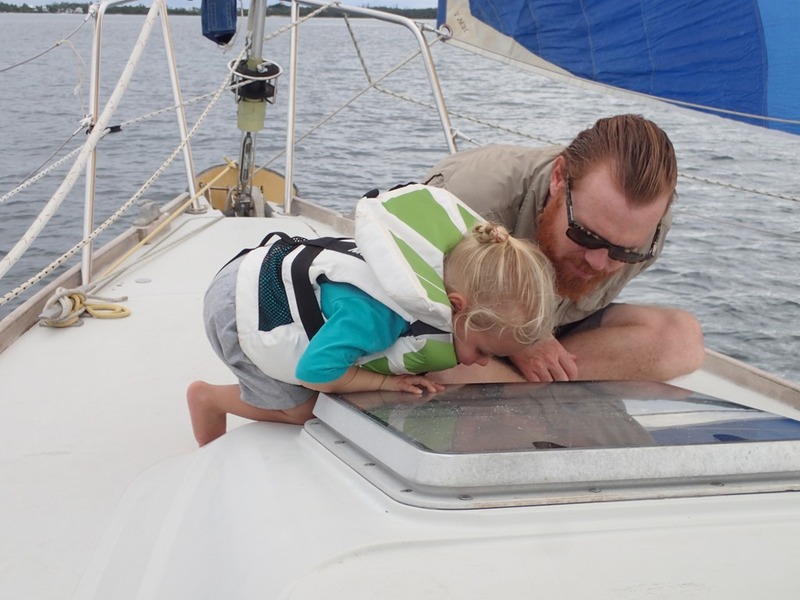 We can look down the hatch at Gramma and Grandpa’s pillows and blankets in the v-berth. A beautiful day on the water in Hope Town.